A public art piece in Richmond worth more than $1 million was vandalized this week, prompting the president of the Vancouver Biennale to call on police to treat it as a serious crime rather than an act of mischief, should the perpetrator be caught. "This was vicious and intended," said Barry Mowatt, president and founder of the Vancouver Biennale, which brings large public art installations from all over the world to Vancouver and, more recently, Richmond. "It should be treated as a crime." Yesterday things picked up a little and some more artists at the AAFNYC showing with Mayer Fine Art have broken the ice. 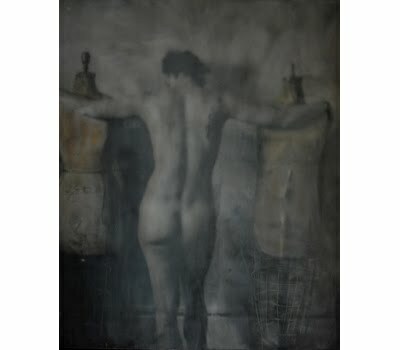 In walking the fair a little I've really become quite fond of the breath taking photographic wax encaustic work by Leah MacDonald, represented by Galerie BMG from Woodstock, New York. MacDonald has some of the most innovative and sexiest work that I have seen in a long time. Encaustic Photography by Leah MacDonald"